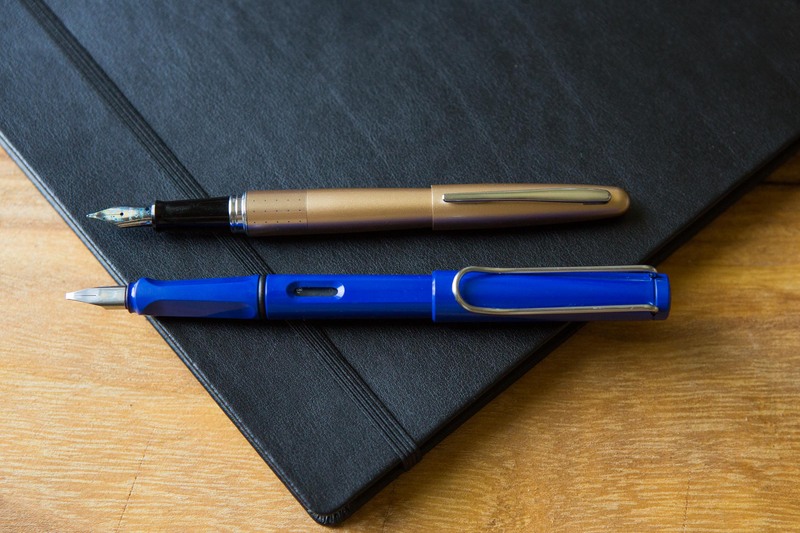 It’s a double-header here, a look at both the Lamy Safari and Lamy Vista fountain pens. 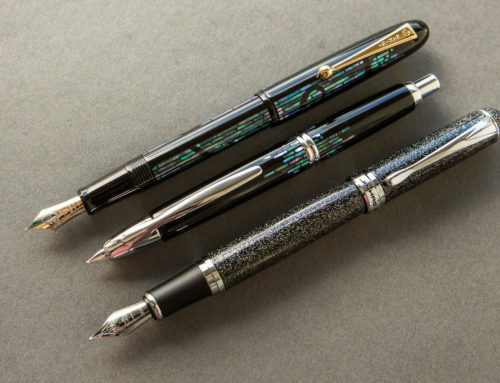 These pens are really, really similar. 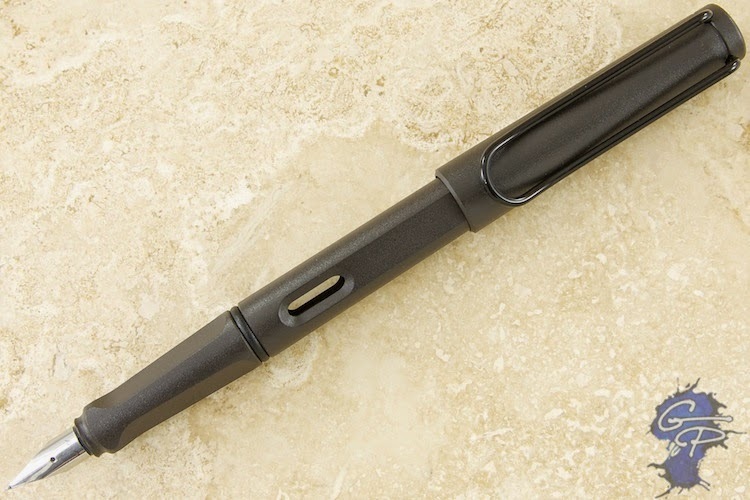 In fact, the Vista used to be called the Lamy Safari Vista back in the day. 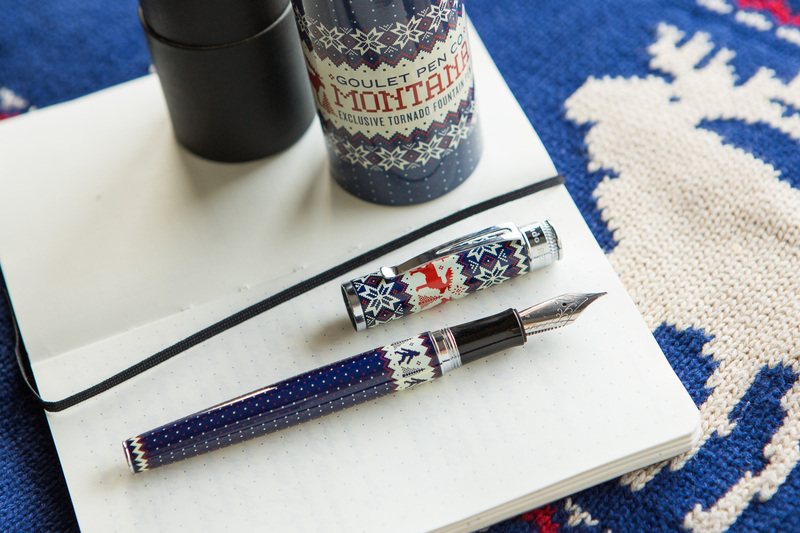 But some time ago (before I started carrying the brand back in 2011), the pen became known as just the Vista. 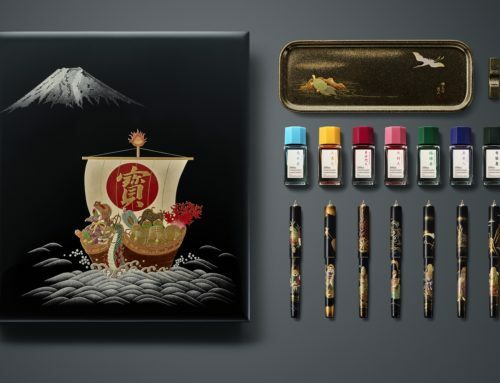 The word “vista” means “a view or prospect, especially one seen through a long, narrow avenue or passage, as between rows of trees or houses” according to Dictionary.com. 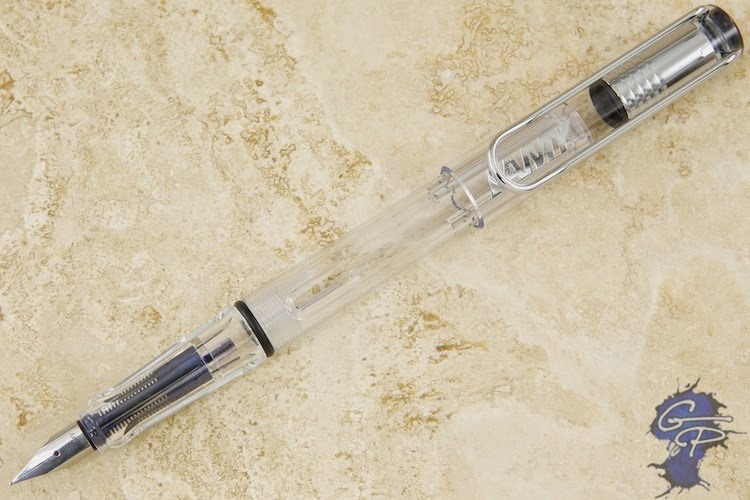 It makes sense then, that a clear Safari would be called the Vista, because you can ‘view’ the inside of the pen. 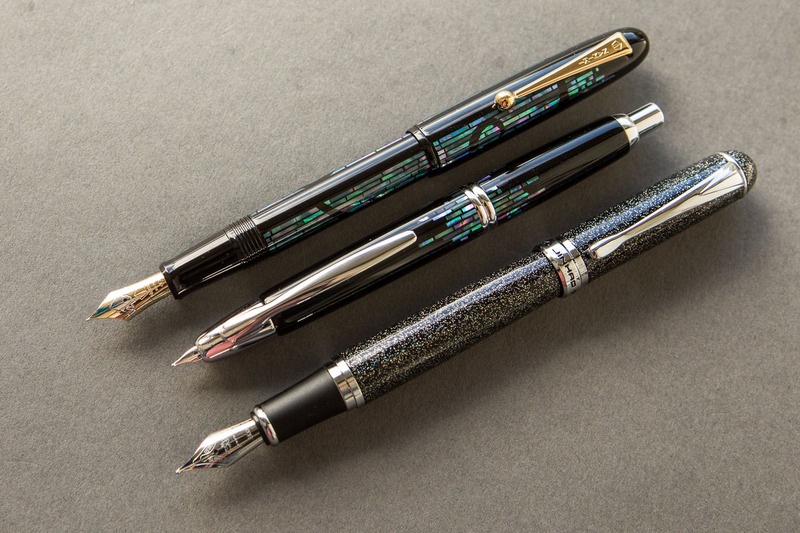 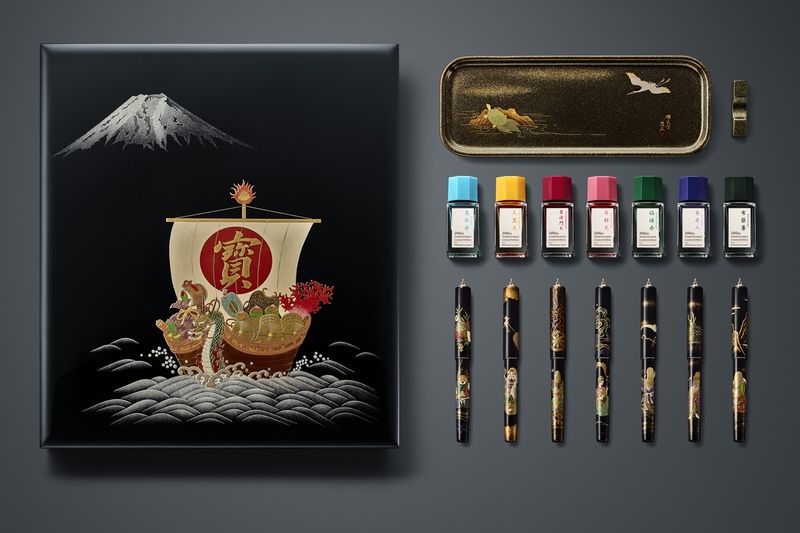 The Safari and Vista are workhorse pens, known throughout the fountain pen community for their ruggedness, reliability, and no-nonsense functionality. 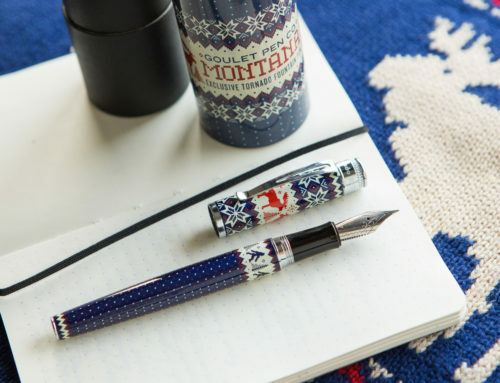 The triangular grip makes it great for those starting out who have no idea how to hold a fountain pen, but it’s used and loved by fountain pen lovers of all levels of experience. 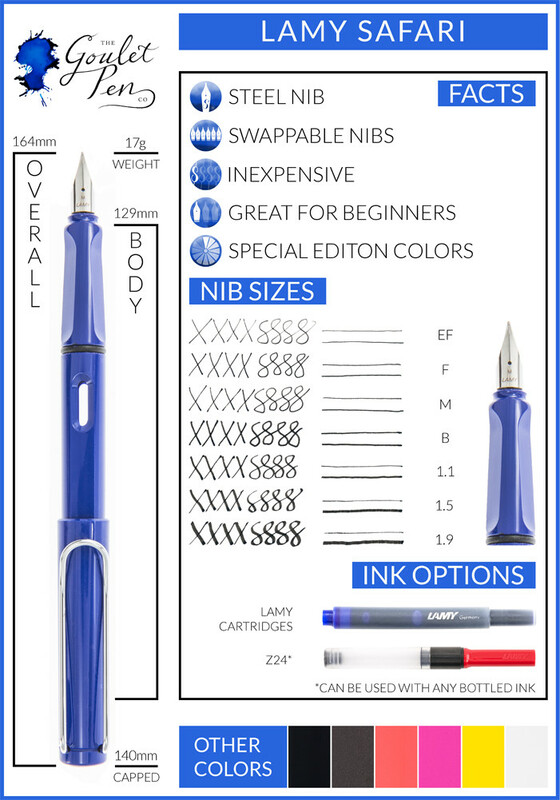 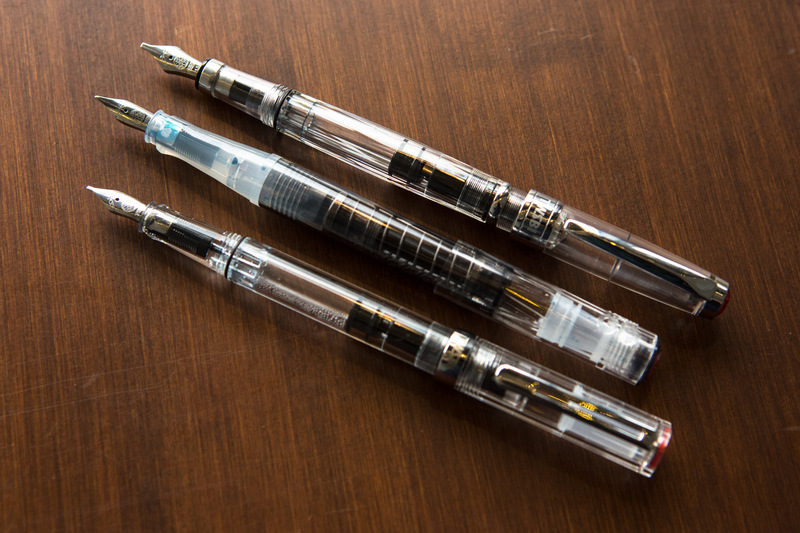 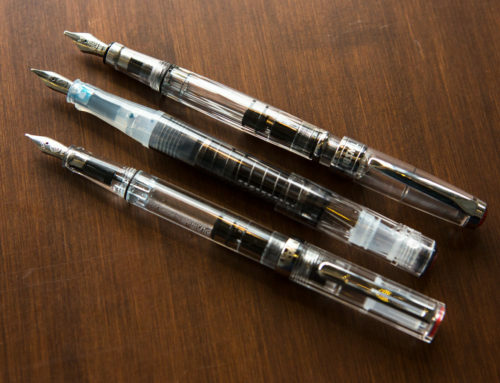 You can swap nibs on them, and both accept Lamy cartridges or converters. 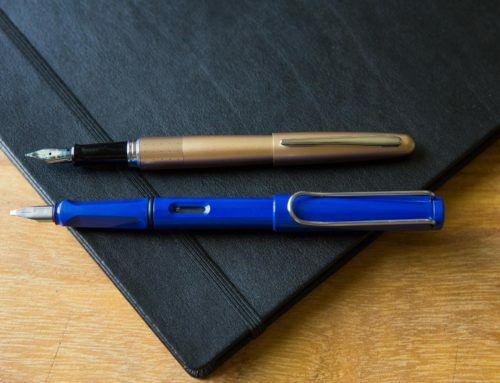 For under $30, it’s a pen that has a lot of appeal. 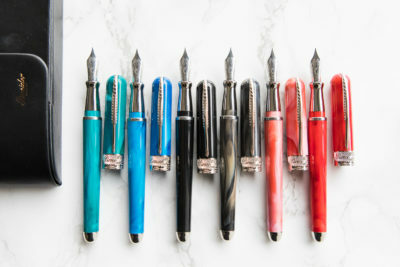 Check out more at GouletPens.com.